Don’t miss out on these fun events in Bossier. Ring in the holidays around town with a music concert or a trip to the Boardwalk! Bundle up at the Boardwalk each day for a special showing of snow. Catch a peek of snow falling as you move through the shops to catch all of the holiday deals. Ten to 12 snow machines will scatter a dusting near the main entrance near Copelands. If holiday music puts you in the spirit of the season, attend the BPCC Music Faculty Christmas Concert. Featuring singing, piano and french horn performances, enjoy many Christmas classic and holiday favorites. The concert is free and open to the public. For more information, contact the BPCC Music Program at 678-6429. If you are an entertainer, don’t miss the chance to be a part of future events and concerts in Bossier. Hosted by the Bossier Arts Council, this event will discuss future events and festivals to take place at the East Bank Plaza next year. Present your ideas and provide feedback on others. Enjoy a night of shopping and fun at this Bossier City event. 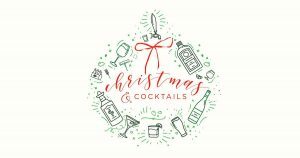 Featuring 10 local businesses, experience shopping, specials, cocktails and specialty drinks at each of the locations. Round out the evening with an after party at Flying Heart Brewery with drink specials and a grand prize drawing. Experience a game show favorite in Bossier City. Ticket holders have the chance to win $10 million in cash and prizes. Some of the notable games offered are the signature come on down price game, bid $1, get ready to yodel, the fabulous showcase, pinko game and spin the big wheel. Catch the Shreveport Regional Arts Council’s biennial gala, Christmas in The Sky, which is promised to be a night not to be missed. The gala, which benefit the arts, also showcases the culinary talents of Harrah’s team and the talented creativity of the 18 artists and designers who each create unique displays throughout the event space. Auction items take fundraising to the next level. Tickets are $300 and are known to sell out fast. Bring the family out for a day dedicated to children with every spectrum of special needs. Sign up to reserve a private photo session with a traditional Santa Claus visit. Visits are free, but photo packages are available for purchase and vary by location. Be a leader and become more confident speaking in front of groups. Hosted by the Bossier Speakers Toastmasters Club 9790, each meeting features regular speeches, feedback, teams and guide others to achieve their goals in a supportive atmosphere. The event is free and open to those age 18 and older. 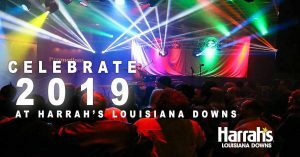 Enjoy a pregame celebration for the Walk-On’s Independence Bowl starting in Shreveport with a Pub Crawl. Next, make your way to the Louisiana Boardwalk Outlets to see a preview parade featuring local marching bands and more than 15 Mardi Gras-themed floats. Follow the parade down to the Red River District to listen to the battle of the bands. After these three events, be sure to catch the Independence Bowl on Dec. 27 at Independence Stadium. If you can’t make the game, try attending some of the watch parties happening throughout bars and restaurants in Bossier City. For more information, go to WalkOnsIndependenceBowl.com and the official Walk-On’s Independence Bowl social media accounts. Don’t spend your New Year’s Eve watching the ball drop on the couch. Have fun in Bossier City at Harrah’s Louisiana Downs. Dance to live music by MissUsed and DJ Love. Count down the lasting seconds and ring in the new year at midnight as fireworks take to the sky starting at 12:05 a.m.